Do you have research to do in the Laurier archives? 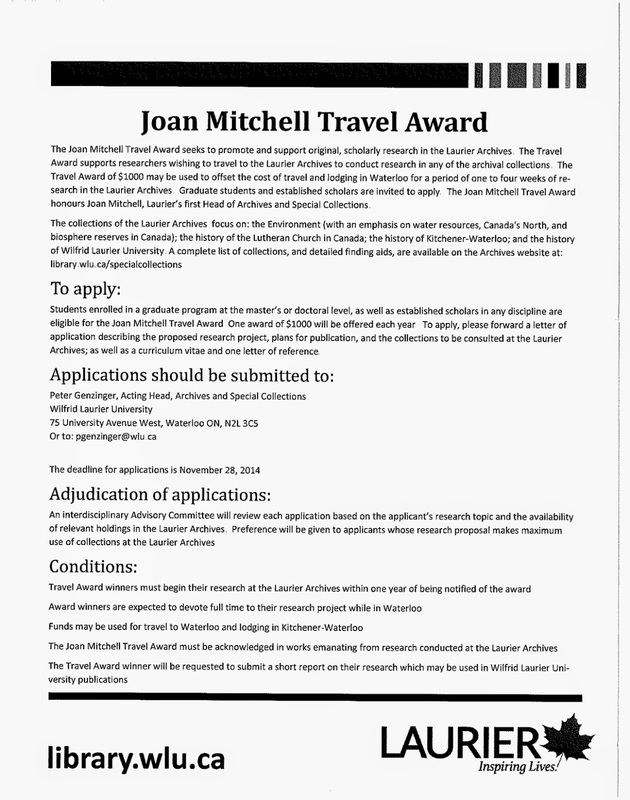 Apply for the Joan Mitchell Travel Award. Applications are due November 28, 2014.